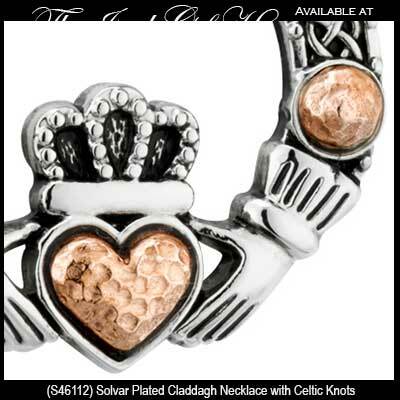 All the plated Irish jewelry from Solvar is allergy safe and free of any nickel content. 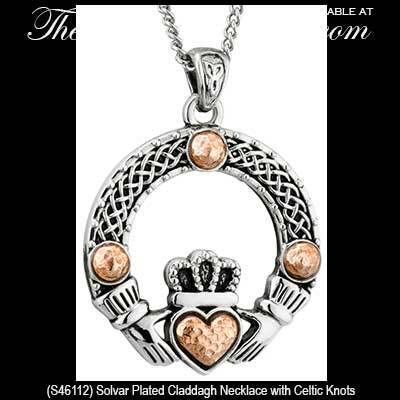 This rhodium plated Claddagh necklace with an oxidized finish features engraved Celtic knots and rose gold plated accents. 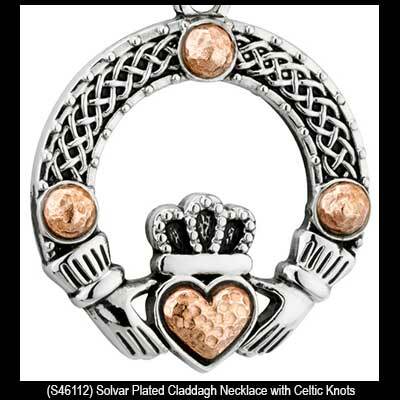 The Claddagh pendant measures 1 1/8” wide x 1 1/2“ tall, including the jump ring and the engraved chain bail, and includes a heavy 24" long rhodium plated chain with a lobster claw catch and a 2 1/2" extender with a tassel. 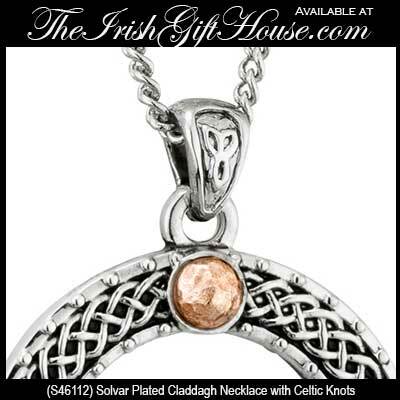 The rhodium and rose gold plated Irish pendant is made by Solvar Jewelry in Dublin, Ireland and is gift boxed with Claddagh and Celtic knot history cards that are complements of The Irish Gift House.